Hello everyone! Today I have an oldie for you guys, OPI DS Temptation. From the moment I saw my first pic of this one I had to have it and lucky me found someone who had it up for swaps. The polish certainly didn’t disappoint! 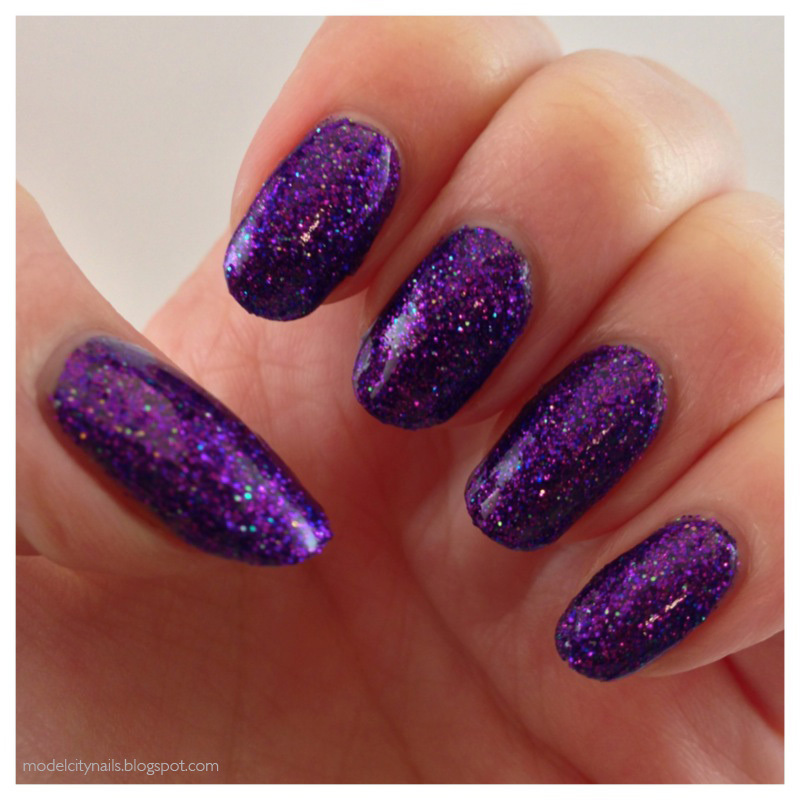 Temptation is a dark purple jelly base packed full of beautiful purple glitter. 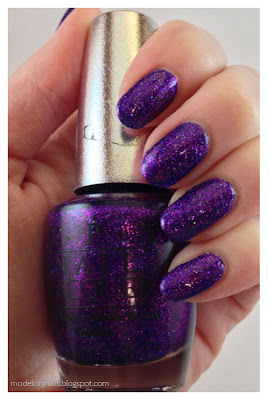 In all of my pics I used three coats followed up with Gelous top coat. When applying the first layer be sure you have plenty on the brush and to not pull to hard or you will remove most of the glitter. Second and third coat the glitter catches on the previous layer so it is much easier to work with. This stuff is mostly glitter so you will need a few layers of clear to smooth things out but the end results are totally worth it. The color is perfect and everything I had wanted this polish to be. This one is such an amazing color. Close up using me new iPhone lens that cost a whole $4! 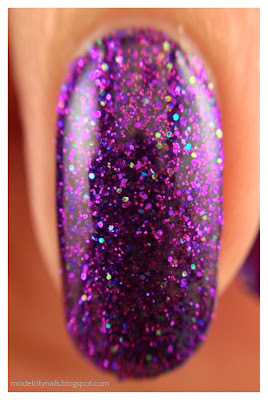 Don’t you just love when a dream polish ends up being everything you ever wanted it to be? So if you guys see this one on a swap list or available for purchase I say grab a bottle, you won’t regret it…. well at removal time you may hate it if you didn’t use a peeling base coat. Have a great day everyone and I will see you next time. Isn’t it just gorgeous! I can’t wait to rock this one during summer!